SparkMyCloud Engineers have done quiet alot of cloud migration projects for European and Middle East clients’.And,also SparkMyCloud cloud migration services follows a similiar cloud migration phase as like Amazon’s too. In the first stage,our technical program manager from ourtechnical team will help you analyze the hardware configuration of physical servers to equivalent EC2 instance types and estimate the combined storage and bandwidth requirements. 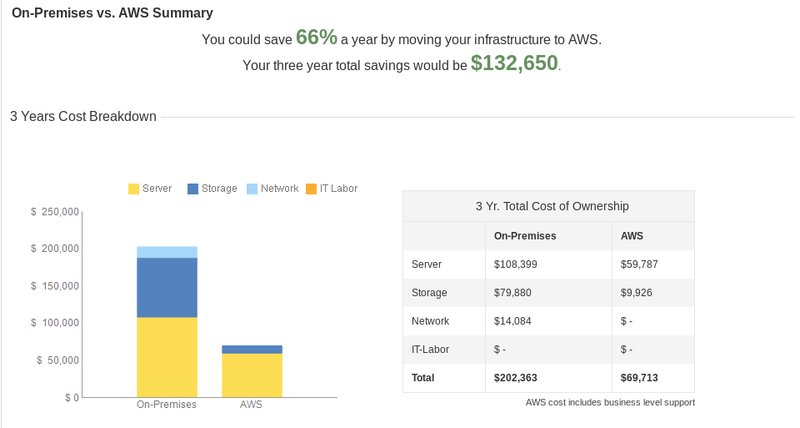 One of the tools which we make use in this phase is the AWS TCO Calculator which can help us understand the cost benefits through cloud migration. In the next step we determine and analyse the risk tolerance capacity, regulatory compliance requirements, and intellectual property concerns of your firm. As we believe in protecting and providing the world class security, we determine where to store your data and on how to handle the encryption at rest and in transit. And we can create a detailed plan including a road map for you to achieve this Success ! Once we have assessed and understood the cost and time saving benefits, we start to build a proof of concept AWS application for you ! We understand that is not a mere childs’ play, so It’s always better to test ,before we shift ! Setting upElastic Load Balancers using the AWS Management Console. Modify the references in your web pages, so that the end users get the content directly from Amazon S3 and Amazon Cloud Front. Once your data has been migrated, SparkMyCloud engineers will launch your instances (Small/Medium/Large) as required. SparkMyCloud advises you to deploy a Hybrid Migration Strategy ,rather than the Forklift Method, during the migration of your web and application servers to the cloud. After we have finished the testing phase, we switch your DNS to the cloud based server,and then you have a fully migrated AWS cloud at hand !! SparkMyCloud engineers helps you in creating an Auto Scaling group of Web servers which will help you in automatically provisioning more capacity when specific resources reach a threshold limit. Extras : To make sure you achieve more higher availability, we leverage more multiple availability zones for your servers. We can also build some additional scripts to run your web application in 3 different “modes”: weekend, weekday and promotion mode ,which helps in defining the minimum no. of servers to run as required, thus saving unwanted expenses. Finally, we can help you achieve a flexible,elastic, scalable , and easy to maintain architecture.